of cancer. Her name is Julie Crawford (34). 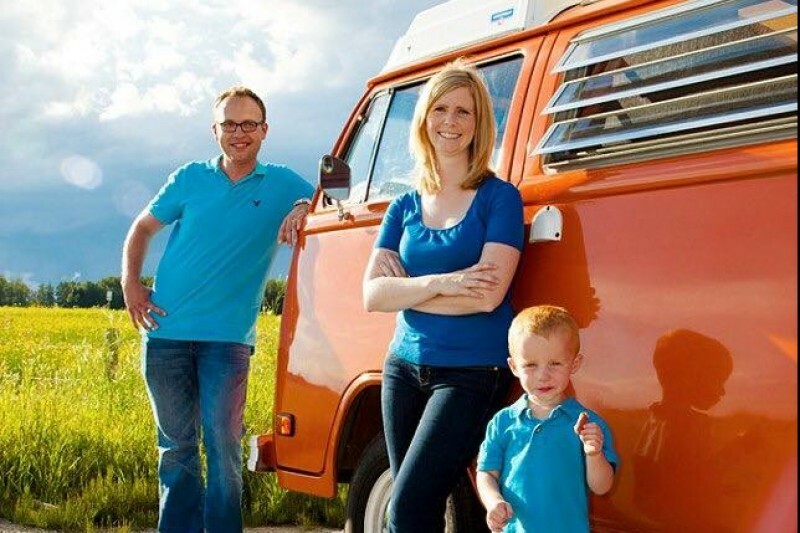 In a last ditch effort for treatment she flew from Edmonton to Toronto at Christmas time. The treatment was unsuccessful and her condition quickly worsened to the point where she is too sick to fly home on a normal commercial airline. Julie wants to return to her home to die near her husband and 7 year old son, She needs a Medivac flight. Please go to the GoFundMe link above and make a donation. Every little bit counts. American donations gain 30% due to the weak Canadian dollar. Let's bring Julie home for whatever time she has left. 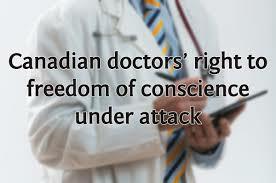 CANADIAN DOCTORS' CONSCIENCE RIGHTS TO BE LOWER THAN VETERINARIANS? Re-published with permission of the author. 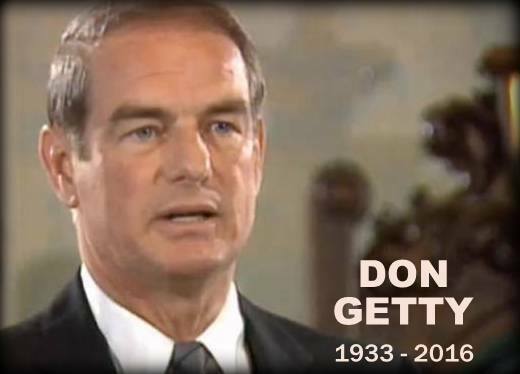 Former Alberta Premier Don Getty has passed away. I was fond of him. I remember back in the late 1980s, I had the first home-office in the federal government. I wanted to showcase this disability employment option (in my new wheelchair accessible home). I was so proud of it! I sent out invitations to various disability groups, organizations and government to come to an open house. Premier Getty and his minister overseeing disability issues accepted the invitation to come see the new idea of work and residential accessibility. (It seems so silly speaking about a government home office today, but it really was novel back in the 1980s). 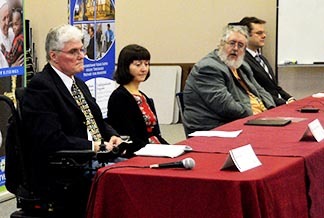 At the time, I also chaired a national disability advisory committee to the federal Deputy Minister of Employment and this was an illustration of employment and residential options for Canadians with disabilities. For some inexplicable reason, which I still don't understand, senior management in the Edmonton Regional headquarters of the federal Employment Commission put a kibosh on the idea and ordered me to cancel the open house. Alberta’s Premier Getty (provincial government not federal where I worked) sent his regrets at the cancellation and said he found the idea interesting for disability employment, and also LaRee's and my approach to wheelchair accessible housing. Was I ordered to cancel the event because they did not want some junior level bureaucrat hob-nobbing with the Alberta Premier about a federal initiative? I'll never know. They are all gone. 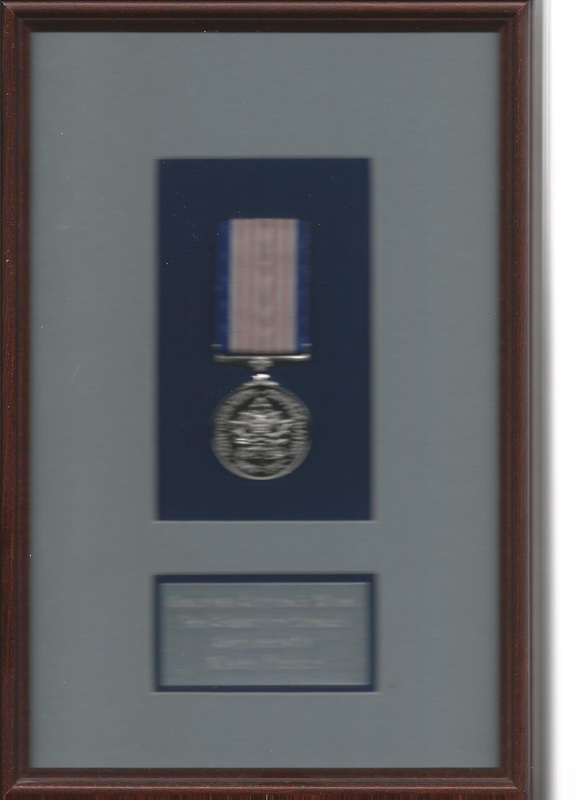 It is ironic that after my own forced medical retirement, the same Commission nominated me for a Governor Generals medal for community service. After I received the medal, one senior bureaucrat for the federal Commission said, "Mark always looked outside the organization to build community relationships. 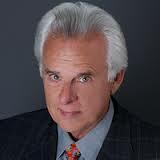 He helped us work more cooperatively with public organizations. He was dedicated to the community." Odd, very odd. But is all so old and I've been medically retired for over 20 years. Back to my original point: It was sad to hear of Don Getty's death. He was a good and decent man of integrity and compassion. The Governor General is Queen Elizabeth's official representative to Canada. Steven Gallagher, "A medal for making a difference" Edmonton Journal, 29 June 1995, B-1. The news release below was sent to me this afternoon. FYI. Support conscience rights. OTTAWA, Ont. (February 25, 2016) – A parliamentary committee on physician-assisted dying doesn’t go nearly far enough to protect conscience rights of health care workers and health care facilities, says the Coalition for HealthCARE and Conscience. health care providers who object to helping take patients lives, under any circumstances. be required to provide patients “effective referrals” to end their lives. The coalition is also shocked that the committee has recommended that the federal government work with provinces and territories to ensure that all publicly funded health care institutions provide physician-assisted death. The coalition has put forward a proposal that will respect the conscience rights of doctors and health care facilities, without interfering with the patient’s choice for assisted death. “The bottom line is that our members should not be forced to act against their conscience. This should not be imposed upon them,” Worthen said. Canadian Catholic Bioethics Institute and Canadian Physicians for Life. faith-based health practitioners and facilities. We were brought together by a common mission to respect the sanctity of human life, to protect the vulnerable and to promote the ability of individuals and institutions to provide health care without having to compromise their moral convictions. CHRISTIAN UNITY AGAINST THE PERILS OF STATE SANCTIONED KILLING! I have written often on this blog about Canada's Brave New World of state-sanctioned physician assisted suicide. The killing of sick or disabled Canadians will begin in June. This dark and ominous chapter in Canadian history must be resisted by Christians of various denominations and people of good will. At the request of Edmonton's Catholic Archbishop Richard Smith, I participated in a news conference panel to accompany a statement issued by six Bishops in the Canadian province of Alberta. They addressed physician assisted suicide. The Bishops warned of perils for the lives of suicidal patients and concern for conscience rights of physicians who object to killing or referring their patients for assisted suicide. An article appeared in the Edmonton Archdiocese newspaper regarding that news conference. See link to the article at the end of this post, after the music link. Canada to issue similar public statements. Catholics and evangelicals must put aside their differences and stand together in a show of Christian unity against euthanasia and assisted suicide in Canada of the most vulnerable people in society. Work to provide community-based life-affirming alternatives that support sick or disabled people prone to consider suicide. Lobby governments and medical professional organizations not to pressure or force physicians to participate or refer for assisted suicide. Start networks of Christian hospice in communities across the country, and other palliative care services that do not include euthanasia or assisted suicide. Christians did this with pregnancy counselling and care centers, we can do it again to address assisted suicide of the disabled and sick. "A new commandment I give to you, that you love one another as I have loved you, that you also love one another. 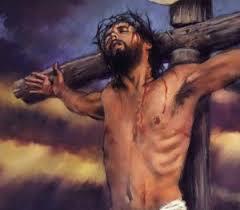 By this all will know that you are my disciples, if you have love for one another." We serve a God of life and love and hope not death, abandonment and despair. It is time to take a stand for life and not back down, regardless of the consequences. Pray for Christian unity and moral courageous. A few years ago I was invited to speak at a retreat for medical students in Saskatchewan, Canada. Little did we know that within 5 years Canada's Supreme Court would strike down the nation's laws against assisted suicide. Little did we know that doctors would be required to kill suicidal patients with any disease, condition or disability or refer them to doctors who would! It all begins in June 2016. The Supreme Court of Canada (and dutiful toady professional medical organizations) have decreed it shall be. Suicidal healthy and able-bodied Canadians will receive suicide prevention counselling and care. 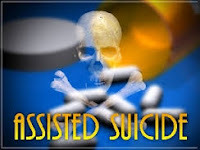 Suicidal sick and disabled Canadians will get physician assisted suicide. The state has legislated selective abandonment (disguised as autonomy) and the dangerous notion that some lives are unworthy to be lived. While adversity or suffering with a disability or incurable illness may have the terrible effect of isolating people, it’s important to realize that their creativity may continue unabated and even blossom in the midst of suffering. I have personal experience illustrating that suffering can sharpen creative perceptiveness and expression. Below is part my address showing historical evidence I used to prove this point to the medical students. Hold up and protect every human life. Everyone has something to bring to the table of human experience. 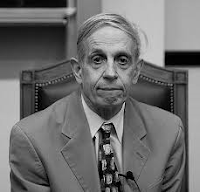 John Forbes Nash Jr. (1928-2015) Brilliant American mathematician and Winner of the 1994 Nobel prize for economics. He suffered from paranoid schizophrenia. The movie A Beautiful Mind was made about his life. Virginia Woolf (1882-1941) English Novelist, is widely acclaimed as one of the great innovative novelists of the 20th Century. She was manic depressive (which we call bi-polar today). Her psychosis ultimately led to her suicide in 1941. Maurice Ravel's Pianoforte Concerto for the left hand was written for an Austrian pianist (Paul Wittgenstein) who lost his right arm in the First World War. grew up in a prominent Viennese household visited by composers such as Johannes Brahms, Gustav Mahler, and Richard Straus: as a boy, Paul Wittgenstein occasionally played duets with them. He was close to 30 years of age when he lost his arm. It must have been a terrible shock! Despite losing his arm, Wittgenstein did not give up. He went on to have a successful career as a concert pianist. He commissioned various works that he could perform from composers such as Benjamin Britten, Paul Hindemith and Richard Strauss. Wittgenstein was a wonderful example of the human capacity to triumph over adversity. 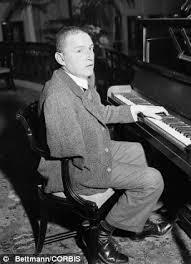 Paul Wittgenstein was probably just as skilled a pianist before he lost his arm as after, yet the public loved him most as a one-armed pianist. (Everyone loves an over-comer!) Did Paul Wittgenstein play Ravel's Pianoforte for the left hand better than any two-armed pianist? Probably not, but the public wanted it played by someone who had earned the right to play it. The musician's suffering was as important to a composition for the left hand as the notes themselves; together they made the music more beautiful and compelling - and that was true. It's still true. 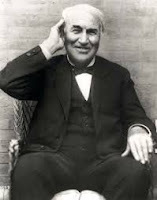 Thomas Alva Edison (1847-1931). He lost almost all his hearing at the age of twelve. Yet that is not why we remember him. We remember Thomas Edison for inventing phonograph, the movie camera, the light bulb. Henry Ford – (1863-1947) American industrialist and pioneer automobile manufacturer. He also had a severe hearing impairment. age of 27 and lasted a brief ten years ending in his suicide. His works are perhaps better known than those of any other painter and yet during his lifetime he was virtually unknown. He suffered from mental illness. 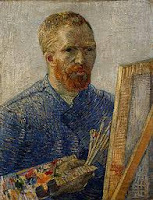 His mental illness drove his moods from the highest pitches of enthusiasm and creativity – which he called the “rage of work” to periods of discouragement which he called his “fear and horror of madness.” Van Gogh produced over 2,000 pieces of art. Do you know how many of those pieces he sold during his lifetime? One. His brother Theo had to beg somebody to buy it. 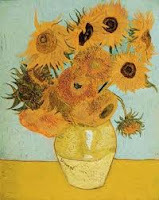 Vincent Van Gogh’s attempts at romantic love were rebuffed which drove him further into isolation and internal anguish. He often suffered seizures, hallucinations and delirium for days or weeks at a time. On one occasion Van Gogh cut off part of his ear. Van Gogh wrote more than 800 letters. If you haven’t read his collected correspondence, I would recommend it. Not only is it a good autobiographical account of Vincent Van Gogh’s life, it’s great literature. Vincent Van Gogh lived in barren rooms of rural cottages and the wards of mental institutions. His loneliness and isolation were almost larger than his life. Yet that is not what we remember about Vincent van Gogh. When we think of him we are apt to think of “Starry Nights”, Cafe Terrace, or his stunning series of Sunflowers, just to mention a few. “"I feel...a failure. That's it as far as I'm concerned...I feel that this is the destiny that I accept, that will never change." He was not a failure. Look what he left humanity! John Milton (1609-74) was blind when he wrote Paradise Lost – the story of Satan’s rebellion against God and the expulsion of Adam and Eve from the Garden of Eden. Paradise Lost is generally considered the greatest epic in the English language. 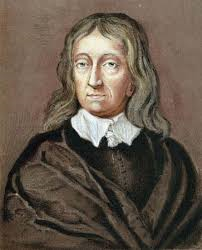 “No man is an island entire unto itself; every man is a piece of the continent, a part of the main; ... any man’s death diminishes me, because I am involved in mankind; ... and therefore never send to know for whom the bell tolls; it tolls for thee. Donne exhorted the sufferer not to waste his suffering but allow it to be a vehicle to draw the sufferer closer to his home in heaven. 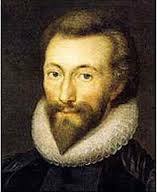 John Donne’s believed that suffering could be a blessing to the individual or others, if allowed to ripen a person’s spiritual character. These were insights from a man who defended suicide 15 years earlier in a scurrilous book Biathanatos. Why the change of heart ? Could it be that his suffering, and interior throes of his soul, had a purifying effect on his spiritual character? 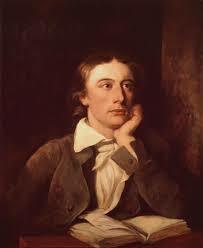 John Keats (1795-1821) Is considered one of England’s greatest poets. He died at the young age of 25 with tuberculosis. His poetry is unequalled for dignity, melody and richness of imagery. He once said, “I have loved the principle of beauty in all things, and if I had time, I would have made myself remembered." He didn’t need more time to create beauty. John Keats is remembered. 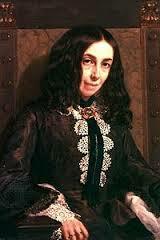 Elizabeth Barret Browning (1806-61) An invalid and recluse, yet her gift for lyrical poetry is with us to this day. Some scholars have speculated and surmised that Wolfgang Amadeus Mozart may have suffered from Tourette syndrome. 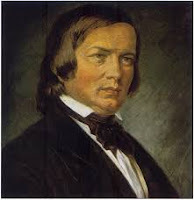 Robert Schumann (1810-56) A leading composer of the Romantic movement. As a young pianist he damaged his right hand, which ended his dreams of becoming a concert pianist, but his output as a composer for piano, orchestral works and chamber music was prodigious. Schumann suffered from depression and mental illness that worsened with age. Robert Schumann suffered from auditory hallucinations. During one of his bouts of mental illness he attempted suicide. He admitted himself to an asylum where he died in 1856. Ludwig Van Beethoven (1770-1827) Is universally acknowledged as one of the greatest composers who ever lived. Most people are aware that he was deaf when he wrote his 9th Symphony. It was his crowning achievement. I want to bring to your attention to the fact that Beethoven was going deaf when he wrote his 1st symphony. It was detectable when he began composing his 1st symphony in 1798, and when it was completed in 1800, Beethoven’s had become quite anxious about his malady. By his own words, Beethoven had noticed his hearing loss beginning in 1796 at the age of 26. By 1801 his physicians began various therapies, to no avail. His deafness increased to be near total, yet his creative prowess did not falter. of Prometheus It’s doubtful he heard much of his 5th Symphony, his concerto for violin and orchestra, his Masses. Beethoven's deafness causes him such suffering and brought him inner and outer troubles, disappointment with life and isolation. 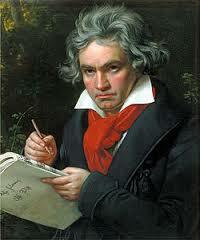 Those words were written at a point of crisis for Beethoven about his deafness. Happily for us, the crisis passed and the great man rose above is deafness to eventually write his 9th and final symphony at his peak of creative power. In his 9th symphony we see a triumph of human spirit over adversity sustained by a spark of God’s love in a silent world. Yes, above a starry canopy dwells a loving Father who can reach into the silent world of a deaf genius and touch us even 190 years later. John Rowan Wilson, The Mind, (New York, Life Science Library, 1964) p.146. Wolfgang Amadeus Mozart may have suffered from Tourette's Syndrome, The Medical News, 31 August 2004. Http://www.news-medical.net/news/2004/08/31/4423.aspx. Accessed from Internet 6 February 2011. Peter Latham, “The Music Masters: From the Sixteenth Century to the Time of Beethoven”, ed. A.L. Bacharach (London: Pelican Books, 1957), p.66. Ludwig van Beethoven – The “Heilgenstädter Testament”. rights. It seems that every other day somebody is demanding his or her rights. Some people even demand rights that are not even written down anywhere or recognized by any legislature or court. Like I say, it is a hallmark of the age in which we live. Self-interest reigns supreme. Although Christ was the second member of the Trinity – God made man – He did not “regard equality with God something to be exploited.” In order to serve in human form, Jesus refused to grasp his divinity. Remember, the King of kings was born in a lowly stable. finding purpose to life. But to “humbly regard others as more important than ourselves” requires a healthy self-image. 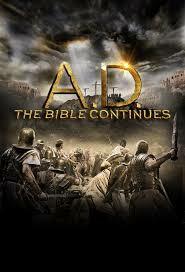 Jesus knew he was the Son of God who came to take away the sins of the world. This unshakable truth could not be altered even by human rejection and the death of a criminal: He emptied himself in obedience to death on a cross for a higher calling and, as we read later in Philippians, God raised Jesus up and gave him a name above all names. You may think there seems to be an apparent contradiction about regarding others more important than one’s self when Jesus said we should love our neighbour as ourselves (Matthew 22.39)? In Pope Benedict XVI’s book THE YES OF JESUS CHRIST, the pontiff addressed the apparent contradiction between Christian self-denial and self-love. He said, “But this means that self-love, the affirmation of one’s own being, provides the form and measure for love of one’s neighbor too. 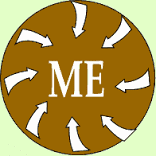 According to this self-love remains a natural and necessary thing without which love of neighbor would lose its foundation.” There is no contradiction: proper self-denial lived in love requires knowledge and confidence that we are loved with immense and unfailing divine love regardless of our circumstances. With this as our foundation, we can step boldly into service to others. It is only when we know that we are loved are we are able to love ourselves and others. The person who understands that he is worthy of love is apt to realize that others are worthy of love too. People who have experienced a deep encounter with the living Christ know they are loved and valued by God and can rest secure in this knowledge. They do not need to demand their rights. Their citizenship in the kingdom of God is secure and surpasses the rights of any earthly citizenship. Earthly kingdoms will all pass away but the kingdom of God will last forever. Those of us who are considered losers by worldly standards are still winners by heavenly standards. Heaven does not operate by the same rules as this world. We are told that many who are last on earth will be first in the kingdom of heaven (Mark 10.31 & Luke 1.50-53). vulnerable human beings in its midst: state sanctioned assisted suicide across the land. For forty-seven years Canada has been providing taxpayer funded abortion on demand. A woman can have an abortion for any reason at all or no reason whatsoever and have as many abortions as she wants -- all paid for at taxpayer expense (regardless of whether taxpayers object). Effective June 2016, tax funded, state sanctioned assisted suicide is coming to a community near you (if you're a suicidal Canadian). 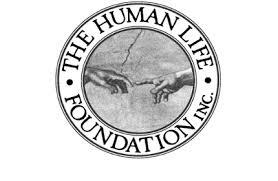 See previous HumanLifeMatters blog post entitled "ALBERTA'S CATHOLIC BISHOPS RESPOND TO ASSISTED SUICIDE RULING BY CANADA'S SUPREME COURT. Throughout the past three decades, I have had the privilege of meeting thousands of pro-Life people across North America. Some lobby legislators for legal protection of life from conception to natural life. life. Some are involved on the front lines with care for women in crisis pregnancies and their babies. Some work against state-sanctioned assisted suicide and euthanasia, or in providing life-affirming care at the end of life. Each person plays an important role in striving for the care and protection of all human life in our current culture of death. Each generation is called to affirm life in the context in which they live, and not deny it. There have been other cultures of death where people of good-will worked to save and care for life. Dear pro-life friends, do not be discouraged even though you may not see the results of your efforts in this world. Most will not. But every so often someone who stood up for life has the opportunity to look into the faces of those who were saved. As the Second World War was about to begin, Nicholas Winton saved 669 Czechoslovakian Jewish children from the holocaust. He saw that human life was in peril and responded by getting children out of Prague. His qualifications? None. He simply did what was right. In 1988, he finally met some of those children he saved. A BBC show invited him on their program. 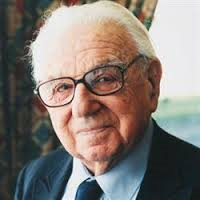 Unbeknownst to Nicholas Winton, they planted many of those grown children around him. See the video below. Edmonton News website. Under Early News Edmonton, click of "Edmonton man speaks out against physician assisted death". I was interviewed about assisted suicide coming to Canada in coming months. This interview was at the end of a long day of interviews. I was exhausted. There may be a commercial before the interview. Sorry. According to a new poll, 85% of Canadians support assisted suicide for the sick and disabled. At the same time as I learned this terrible truth about my fellow Canadian citizens, I must also consider that they also support suicide prevention programs for every one else. The six Catholic Bishops of the Canadian province of Alberta issued the following statement and asked me to participate in a press conference that accompanied it. A link to one TV station's news coverage can be viewed here http://edmonton.ctvnews.ca/video?clipId=806928 The Bishops statement is immediately below. The Supreme Court of Canada’s decision in February of 2015 to strike down Canada’s existing laws prohibiting assisted suicide has opened a wide debate on the subject. The Catholic Bishops of Alberta make the following statement in order to express our deepest concerns with respect to the impact of the decision upon our fellow citizens of this province. The Catholic Church is committed to protecting and caring for the most vulnerable people in our society; this includes, of course, those who suffer and dying Albertans. Catholic healthcare in Canada, and in our province, has given witness to this from our earliest history. Informed by our faith and tradition of caring for people who are poor, sick, or dying, we are convinced that excellent palliative care is the ethical way to ensure that all Albertans can die in a manner that respects their true human dignity. We want to be clear that, from a Catholic perspective, the intentional, willful act of killing oneself or another human being is morally wrong. Therefore, no Catholic may advocate for, or participate in any way, whether by act or omission, in the intentional killing of another human being either by assisted suicide or euthanasia. This is a position that is informed not only by our faith and tradition but also by reason. It is a stance that is commonly shared by other faith groups, medical professionals, and Albertans alike who are opposed to the killing of those most vulnerable. When any life can be taken at will, the dignity of all lives is seriously eroded and respect for human life in our society as a whole is diminished. Given the Supreme Court of Canada’s decision, the pending deliberations of our Canadian Parliament, and the pressure imposed by other jurisdictions in Canada, we would like to address in particular some key considerations. First, if laws and regulations governing the legalized acceptance of assisted suicide and/or euthanasia are to be adopted, then we must accept that they will, in principle and practice, affect all Albertans. Therefore, we ask our provincial government to undertake a consultation process open to any and all who wish to speak to the issue. Although this will take time and effort, nevertheless the seriousness of the matter renders extensive consultation necessary. After all, openness to all opinions and concerns is the heart of our democracy. Second, we are gravely concerned that the legalization of assisted suicide and/or euthanasia will place certain members of our common home at serious risk. In jurisdictions that have already adopted laws permitting euthanasia and assisted suicide, what are purported to be “safeguards” against abuse of the law have proven in practice to be no safeguards at all. The measure of a just and ethical society is the extent to which it cares for - and protects - its most vulnerable members. Like the rest of Canada, Alberta has an aging population. Together with other Albertans, we are gravely concerned about the rise of elder abuse in our families and communities. This abuse takes many forms, including the emotional abandonment of many seniors. A just and ethical Alberta will be as committed to excellent homecare, hospice and social services for seniors as it is to palliative care. These are our mothers and our fathers; they built our homes and our province. 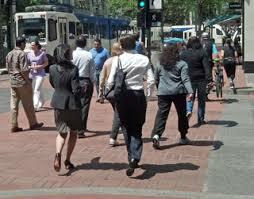 They are not a burden, and they must not be led to feel that way through our individual and collective indifference. In our recent past, reductions in healthcare funding often began with deep cuts to the care and treatment provided for people with mental illness. Even today, many of these people often experience unjust discrimination and the sting of stigma from their family, friends, colleagues and society. In other jurisdictions, this group has in particular been disproportionately represented in cases of assisted suicide and euthanasia. Protection of mentally ill people requires that mental illness is not an acceptable reason for providing euthanasia or assisted suicide. The presence of depression, or other mental illness, can also seriously affect the ability of a person with physical illness or disease to give free and informed consent. A responsible safeguard not only would exclude those who, because of their mental illness, do not have the capacity to give consent, but also would include a serious commitment to treat them. Persons with disabilities are equally at risk. Like those with mental illness, they also suffer stigmatization. In a truly just and ethical Alberta, those with disabilities would be embraced as sharing in the beauty that is our common humanity and celebrated for their unique gifts. There is an intrinsic value in each human being in every stage and circumstance of life. Third, other provincial jurisdictions in Canada have proposed regulations that undermine the conscience rights of physicians and other healthcare workers. This must not be allowed to happen here. Physicians, other medical professionals, and our institutions have to be allowed the freedom that is theirs by right to exercise their conscience, not only to accord with our Charter of Rights and Freedoms, but also as a matter of good medical practice. Morally wrong in itself, the attempt to force a physician to assist in a suicide or to kill another by euthanasia would also fundamentally redefine what it means to be a doctor. Killing is not medicine. 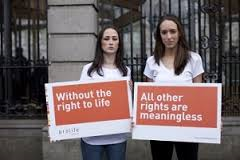 Likewise, from an ethical perspective, and certainly from that of Catholic moral teaching, a physician who conscientiously objects to these practices must not be coerced into referring a patient to another professional for assisted suicide or to be euthanized. This would, in fact, be complicity and thus a violation of the person’s right to freedom of conscience. Furthermore, medical professionals who refuse for reasons of conscience direct or indirect participation must also be protected from intimidation and discrimination. Patient rights and the rights of family members must also be respected – that is, their civil right to access medical care for themselves and their loved ones in which there is no pressure to request or to submit to assisted suicide or euthanasia, and indeed their natural right to be served by doctors and institutions that practice only medicine and are not involved in state-sponsored killing. 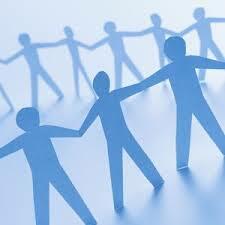 This is essential to maintaining the relationship of trust between patients and doctors or other care-givers. A great many citizens still intend that their doctors, and the institutions to which they entrust themselves at need, be committed to the Hippocratic oath. They must not be deprived of access to such just because there are other citizens who desire assistance in committing suicide. If they are so deprived, this will have far-reaching consequences, disrupting the relationship of trust with the state as well as with the medical community. The decision of the Supreme Court of Canada makes legally permissible in some circumstances what is morally wrong in every circumstance: the taking of innocent human life. This is unacceptable in a truly just and ethical society.